See guest artist, Kristina Logan in a live, narrated demonstration in the Amphitheater Hot Shop on July 14 from 6 to 7:30 pm. Internationally known bead-maker Kristina Logan will step away from the torch to collaborate with Corning Museum Gaffers in the new Amphitheater Hot Shop. Kristina Logan is recognized internationally for her precisely patterned and delicate glass beads. 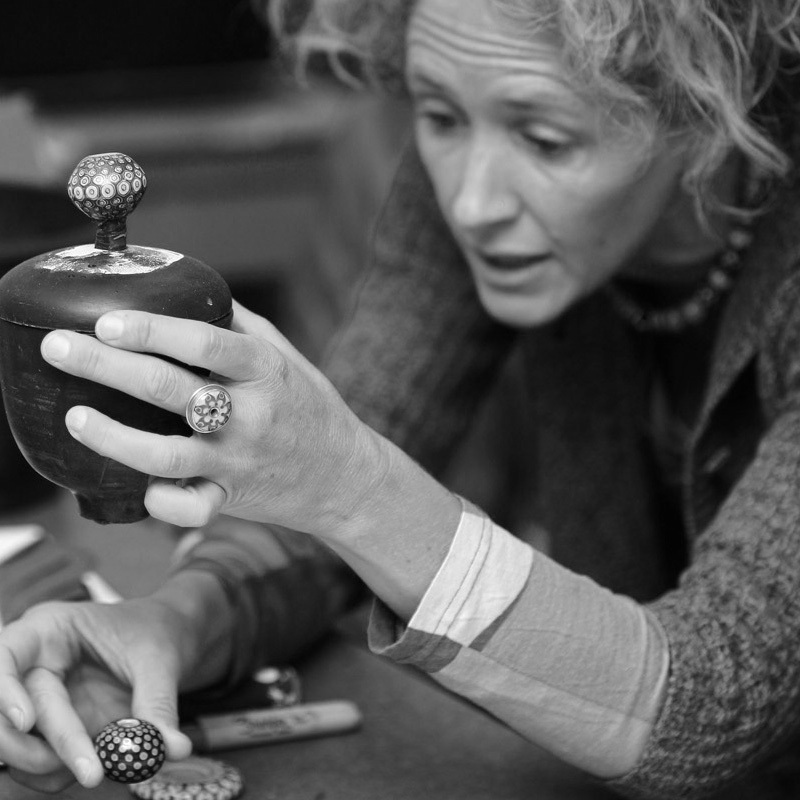 She travels throughout the world teaching workshops and lecturing on contemporary glass beads and jewelry.